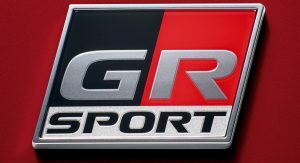 Toyota and Gazoo Racing have introduced a handful of high-performance models in the past but their latest product, the 86 GR Sport, is a bit more restrained. Billed as a sports car for daily driving, the 86 GR Sport has been equipped with a front splitter, aerodynamic side skirts and 17-inch aluminum wheels with a black finish. 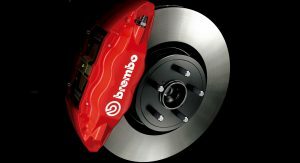 The latter are backed up by a Brembo braking system with red calipers. 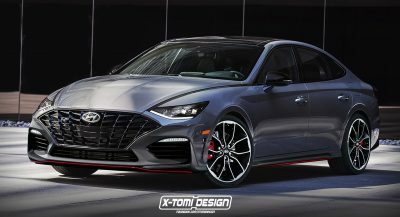 Only three different exterior colors are available and they include Crystal Black Silica, Crystal White Pearl and the Pure Red seen in the photos. 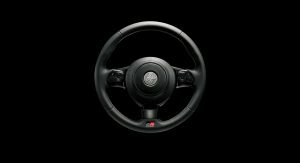 Interior changes are limited but designers installed a smaller diameter steering wheel which is wrapped in leather and features silver contrast stitching as well as a GR logo. 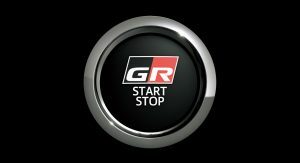 GR badging also appears on the start/stop button as well as on the instrument cluster. 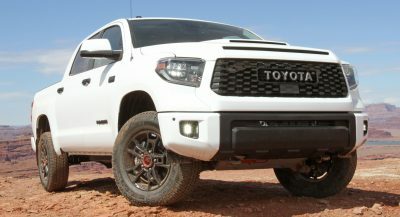 On the performance front, there isn’t much to report as the only change appears to be the addition of a rear brace that promises to increase rigidity. 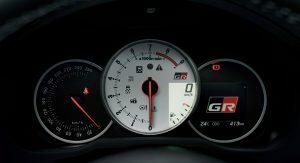 As a result, the car features a familiar 2.0-liter four-cylinder engine that produces 207 PS (152 kW / 204 hp) and 212 Nm (156 lb-ft) of torque. 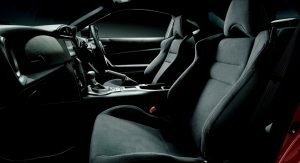 It can be paired to either a six-speed manual or an optional six-speed automatic transmission. 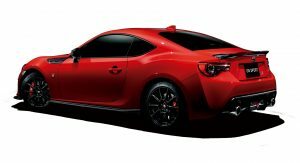 The Toyota 86 GR Sport is currently on sale in Japan and pricing starts at ¥3,780,000 ($34,140). 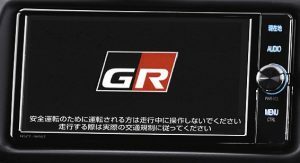 Besides introducing the 86 GR Sport, Toyota announced a handful of GR Parts. 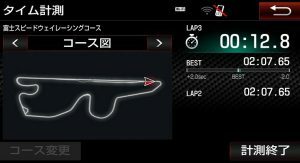 Many of the components are shared with the aforementioned model and they include front splitters, a rear spoiler and two sets of wheels. Customers can also order braces for the steering rack and rear suspension member as well as the smaller diameter steering wheel. 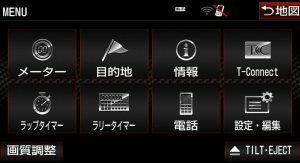 One of the more interesting options is a limited edition infotainment system with GPS navigation. 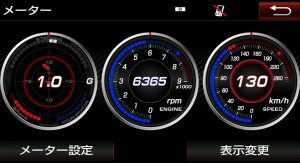 The system features a 7-inch display, a “racing recorder” and an assortment of performance-oriented displays. please stop! Just give us more power dammit, the chassis can handle it! Doubt they’re losing money. Besides not everyone wants to be a ricer and mess up their cars. 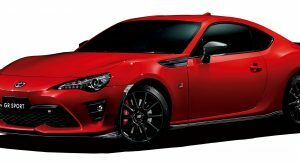 If Toyota came out with a high performance versioned there are people out there that would buy it as is. i gotta say, these add on bits make it look a lot better. imo. it just needed a different dash board, the center vent hump looks terrible, and a flat bottom steering wheel would have been nice. They’ve done everything to this car to position it to handle more power- but give it more power. Strange??? Bump it to 180KW at least FFS. My stock Camry XLE is still faster… Gazzzoooooo! It makes you wonder why they don’t market it as a sports sedan. And it will still put you to sleep. Haha, they love to rip the pee out of all people who want moar powar! I love it. Very simple. I got a question tho. in the last pic, rpm reads 6356 but the blue dot doesn’t even reach 6 mark, how? the blue piece rises slower than the number on the screen so the pic may have been took while car was accelerating. I figured the same later. Thanks man.